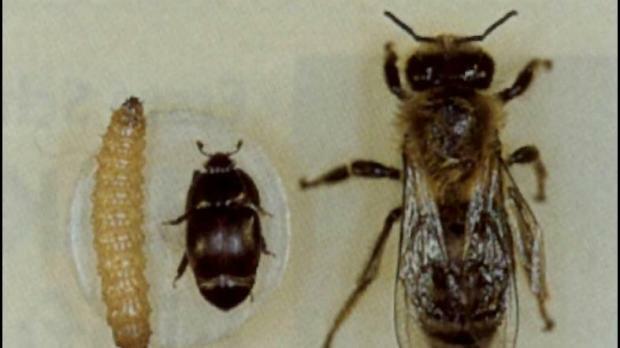 The government has banned bee imports from Southern Italy after the Italian National Reference Centre for Beekeeping detected the presence of the Small Hive Beetle - a honeybee pest - in Gioia Tauro. The centre later confirmed its presence of the pest in 16 other apiaries within the 20 km Protection Zone around Gioia Tauro and more recently this month in the Siracuse province of Sicily. "This beetle poses a serious threat to bees in Malta. For this reason, it has been decided to prohibit the importation in Malta of live bees from these affected areas, including bees used for the purpose of pollination," the Plant Health Directorate said. The Small Hive Beetle, Aethina tumida, originally from Africa, is dark brown to black in colour, about 0.5 centimetre in length, and can be observed almost anywhere in a hive. The adult beetle lays eggs in crevices and cracks in the hive that hatch into larvae that reach 1.6 cm in length. The latter feed on pollen and honey and cause extensive damage to the comb and brood. Pupation occurs in soil near the hive, after which the adults emerge and fly for long distances in search of another hive. The Small Hive Beetle (SHB) is a statutory notifiable pest of honey bee colonies across Europe, including Malta. Beekeepers and their associations must therefore immediately report any sighting of this pest to the Veterinary and Phytosanitary Regulation Department on 22925000 or freephone 80072310. In order to reduce risk of this pest being introduced into Malta, Beekeepers should avoid importing bee equipment from the affected region, as there is difficulty in detecting Small Hive Beetle in these items. This risk also extends to hive products such as beeswax and bulk honey. Purchasers have a duty to clarify the ultimate origins and health risks of such material. Beekeepers were urged to propagate replacements from local stock to further reduce the risk of its accidental introduction into Malta via trade in queens and bees from EU countries.